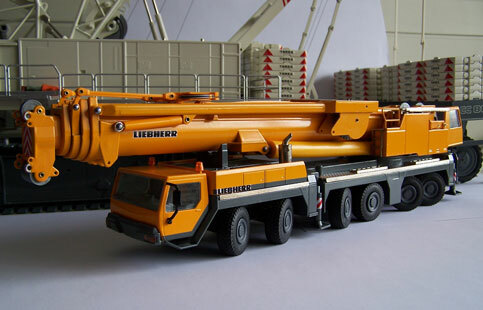 This is the model of the Liebherr LTM1300/1 made by Conrad. 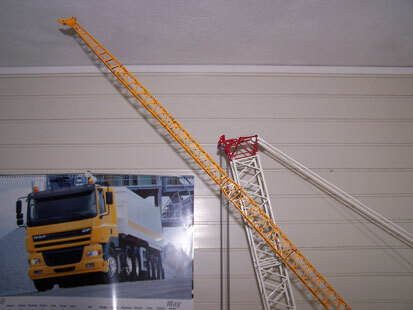 As compact as it looks when ready for transport, as huge it is after being fully build up. 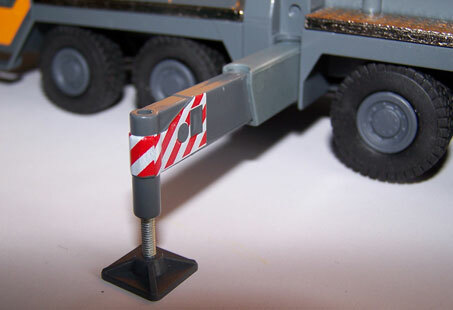 The outriggers consist of two parts: the first section is made of plastic, the second is metal. 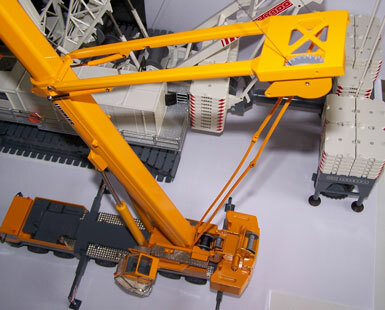 These outriggers are strong enough to support the crane when set up. 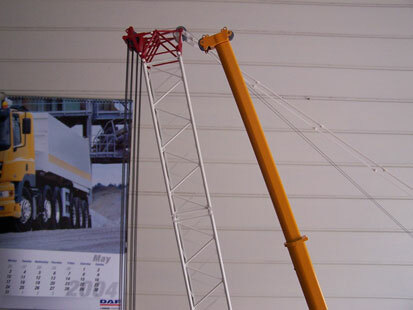 The winch on the guying system is not strong enough to keep the telescopic boom straight. 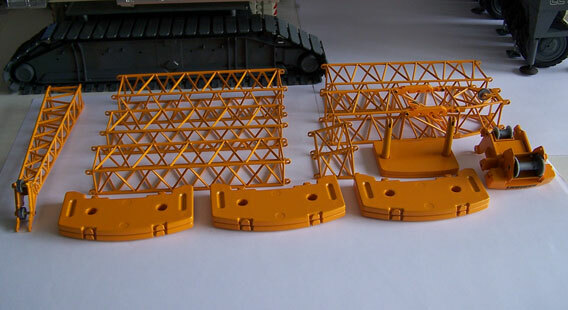 This is shown in the picture by the pendants hanging loose.